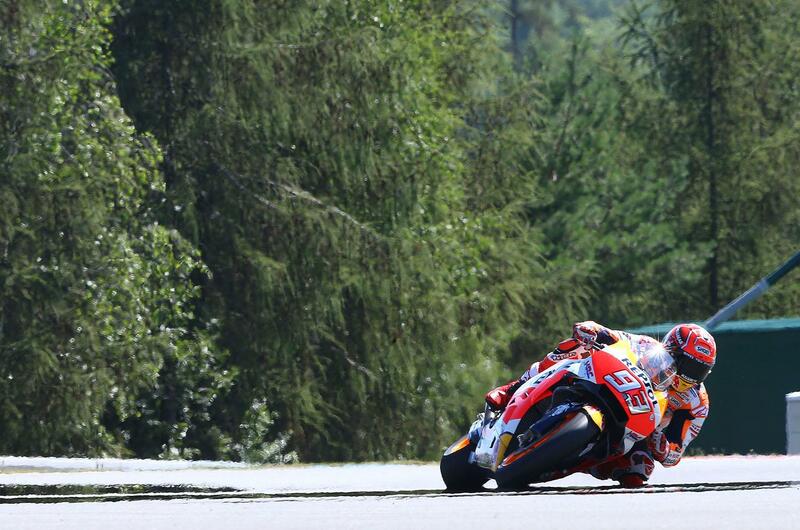 Marc Marquez has romped to pole position at the Czech Grand Prix, making the most of the Repsol Honda squad’s test at the Brno circuit last month to take the top spot for tomorrow’s race. Marquez looked on the limit in qualifying as he pushed for the top spot, saving a number of characteristic near-miss moments before setting his fastest time with plenty of time to spare in the 15-minute session at a circuit he says he expected to be tougher for him. “I’m very happy with today because I knew that making the pole would be tough, as I normally struggle at this track, but I tried for it anyway. The test we did here was useful. I felt good already with the first tyre, even if I nearly crashed as I was pushing very hard. I tried to ride smoothly but still brake hard. He’s joined on the front row by Valentino Rossi after an impressive performance from the Italian, making big steps forward from free practice three this morning to look strong on both race pace and one-lap time. Dani Pedrosa rounds out the front row on the second of the Repsol Honda bikes, with Cal Crutchlow the filling in a Ducati sandwich on the third factory-backed Honda in fifth, surrounded on the second row by Andrea Dovizioso and Jorge Lorenzo despite a high-speed crash in free practice one this morning. Maverick Viñales heads the third row in seventh, ahead of Aleix Espargaró and Loris Baz, while the top ten is rounded out by Johann Zarco. 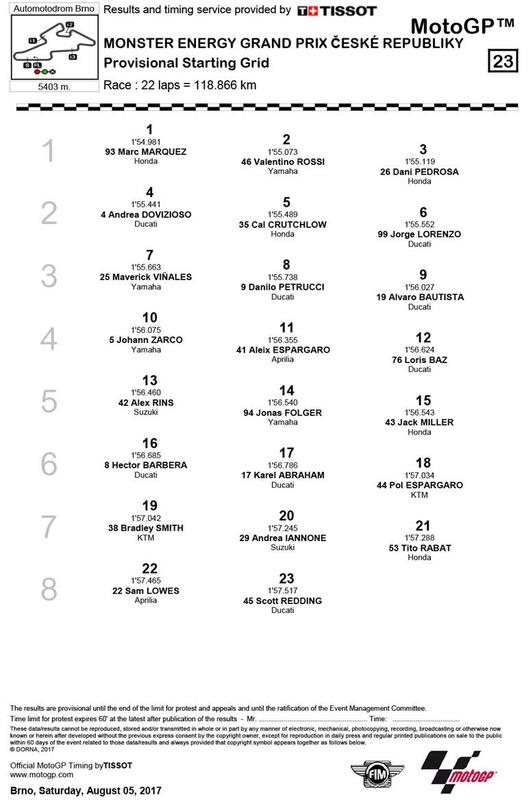 It was a tough day for the rest of the Brits, however, with Bradley Smith 19th, Sam Lowes 22nd after a qualifying crash and Scott Redding last in 23rd.